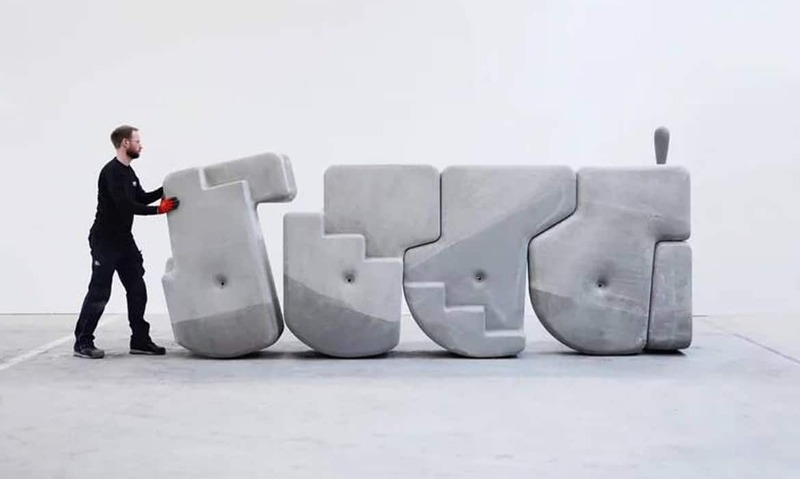 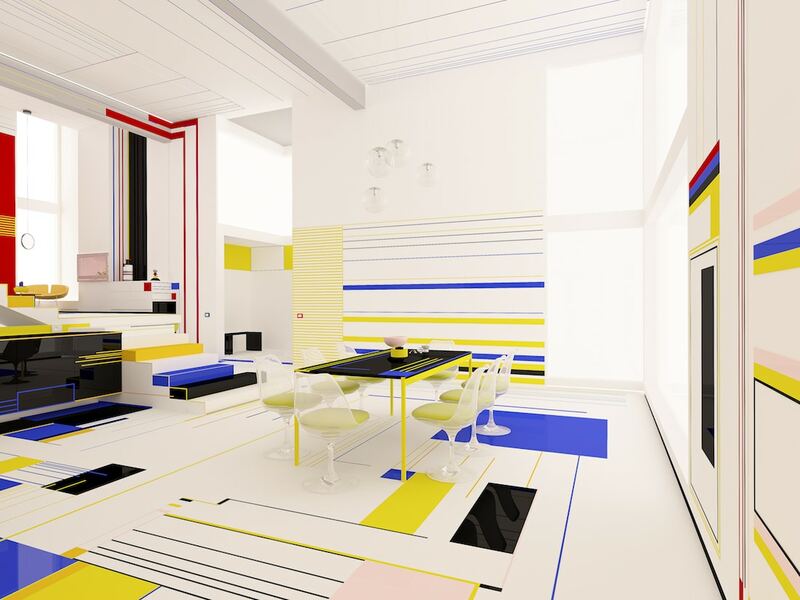 Bulgaria-based studio Brani & Desi (founded by twin sisters Branimira Ivanova and Desislava Ivanova) designs modern spaces “where geometry, colors and functions have equal responsibility.” Given this threefold focus, it is no surprise that the duo has turned to abstract painter Piet Mondrian for inspiration. 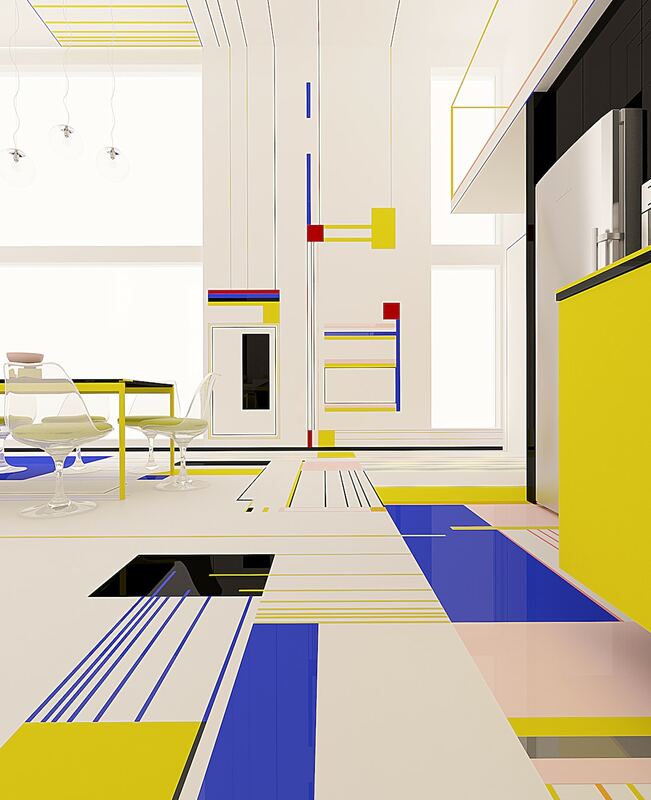 Mondrian pioneered De Stijl, a movement that revolved around the simplification of form and tone. 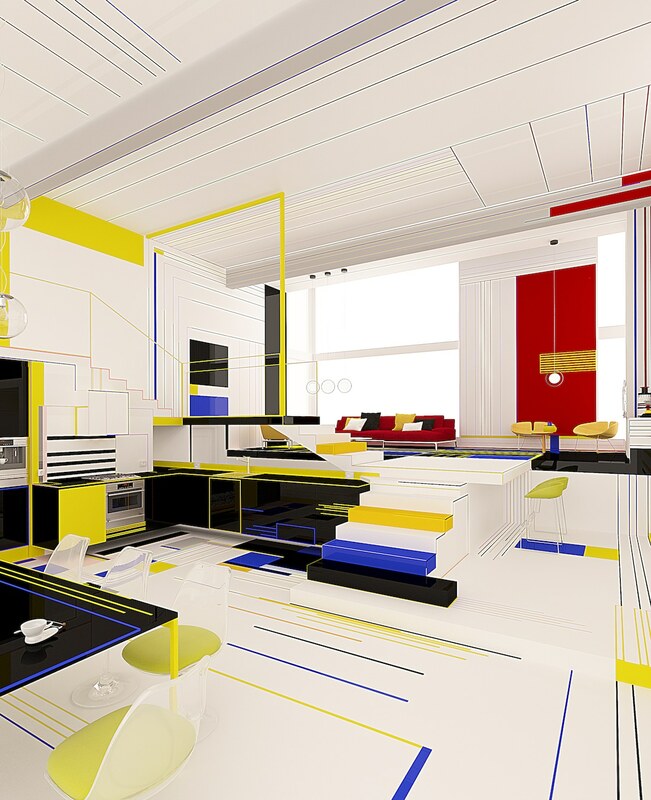 In the work of Mondrian, this approach most often materialized as linear compositions rendered in red, white, blue, and yellow—an aesthetic at the core of Brani & Desi’s plans for their Breakfast With Mondrian apartment. 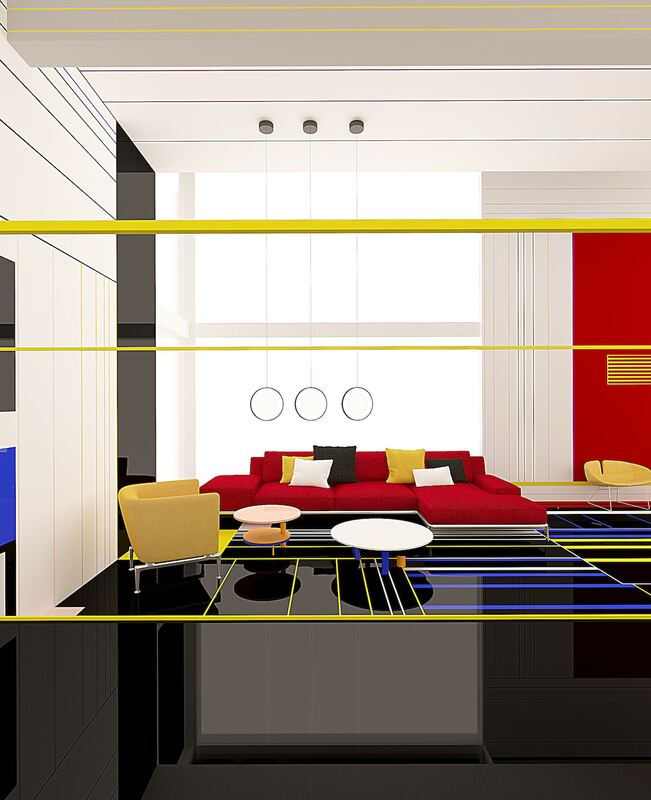 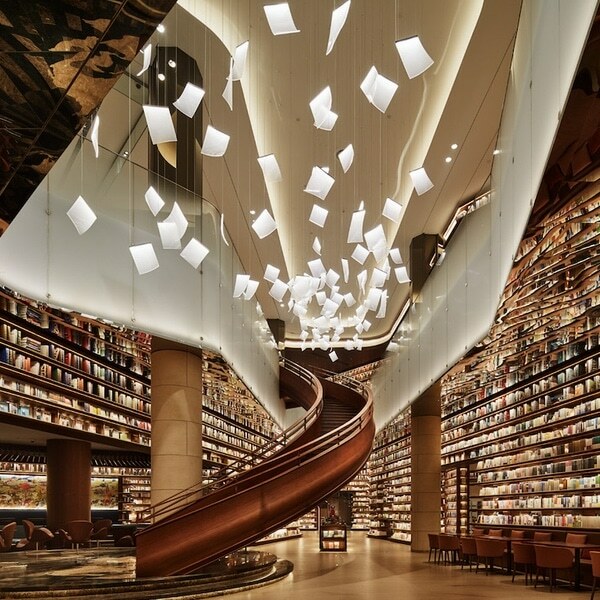 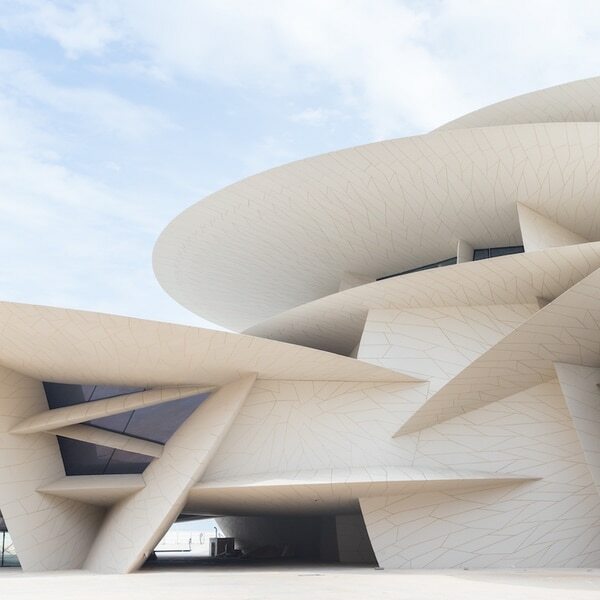 This striking interior features details directly inspired by Mondrian’s signature compositions. 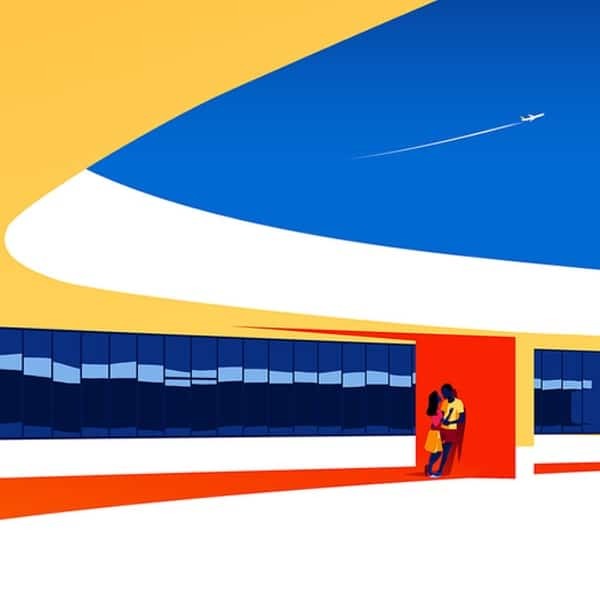 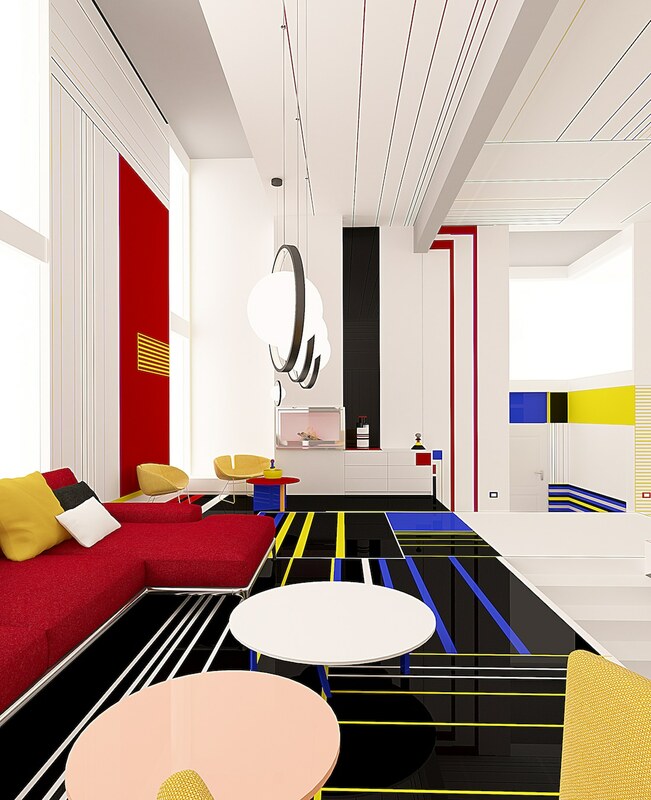 With its primary color palette and bold blocks of color offset by delicate parallel lines, entering this apartment would feel comparable to stepping or—as Brani & Desi explains—dancing into a painting. 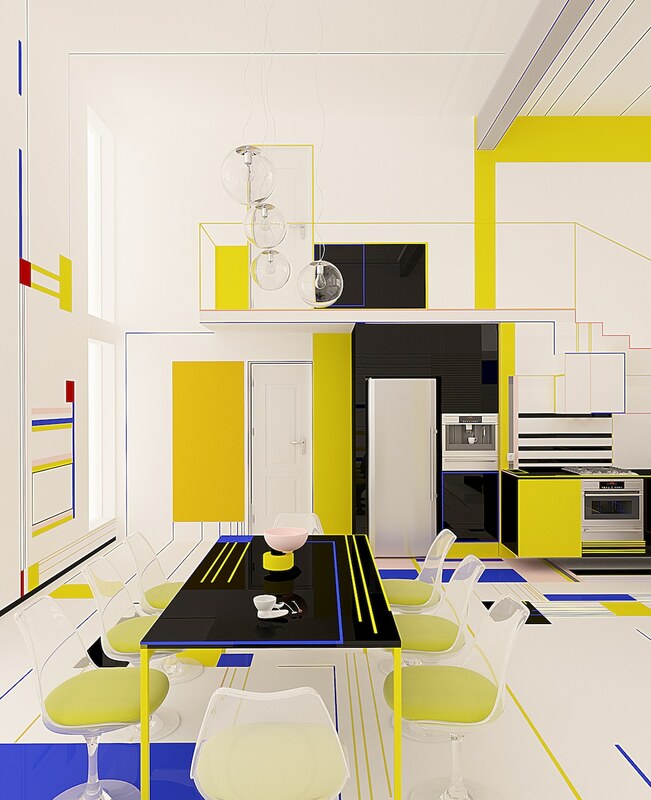 Unfortunately, the studio stresses that Breakfast With Mondrian was created as a conceptual project. 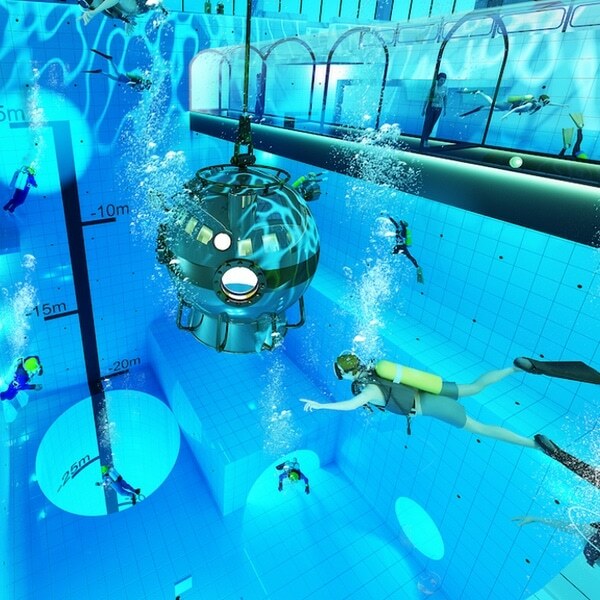 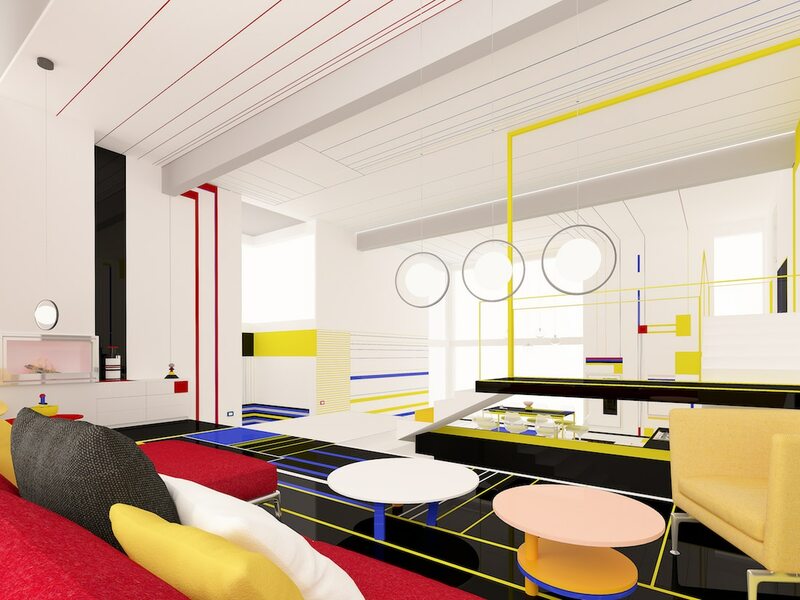 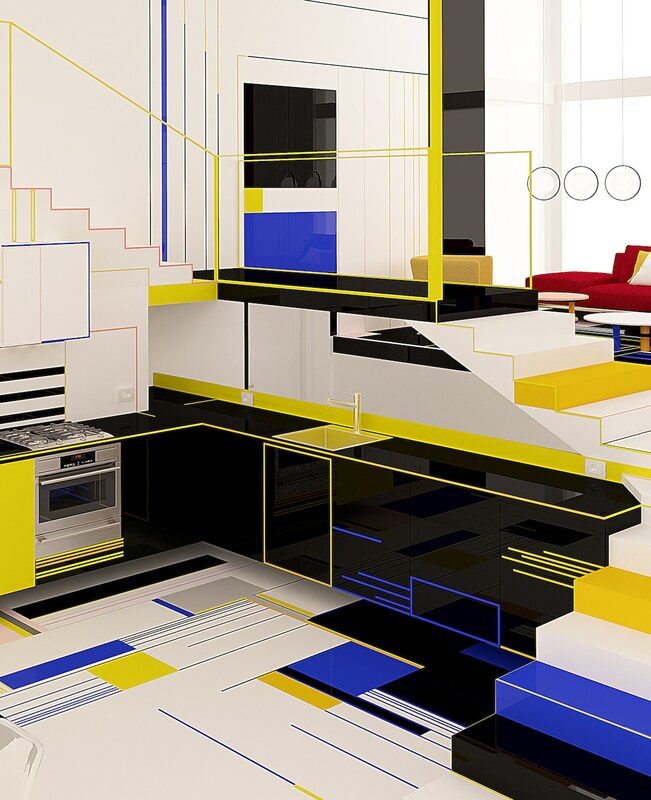 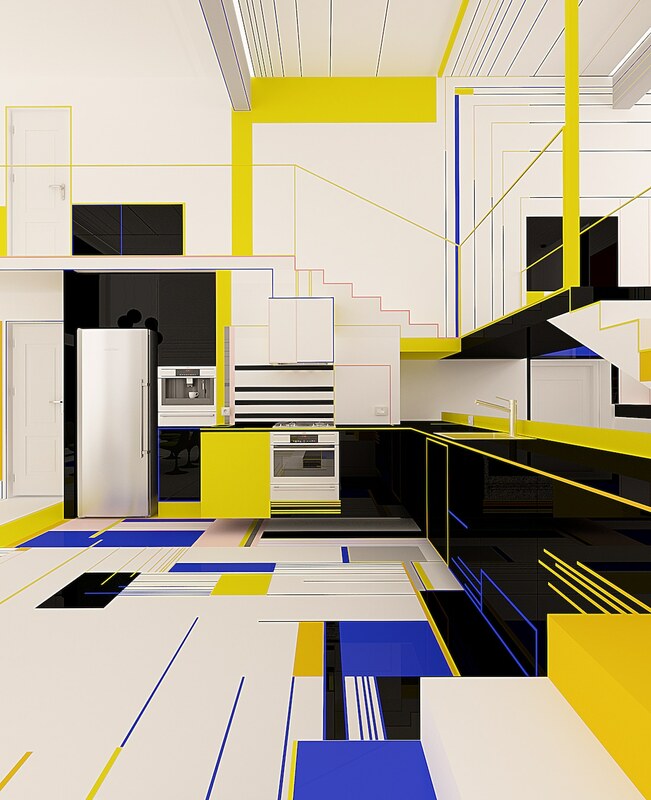 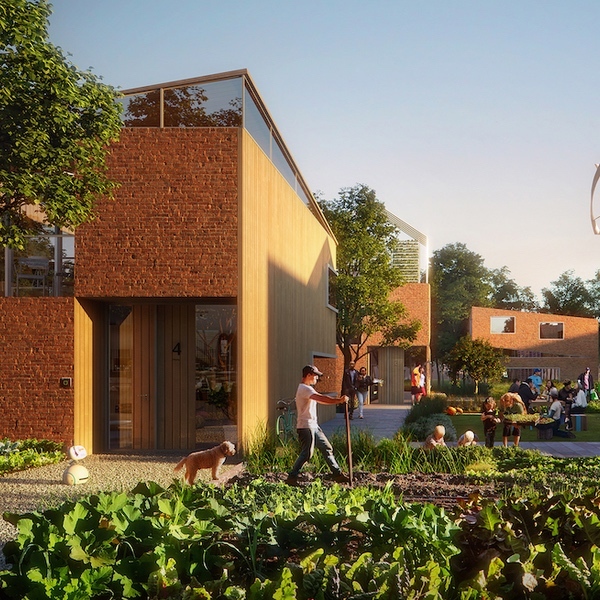 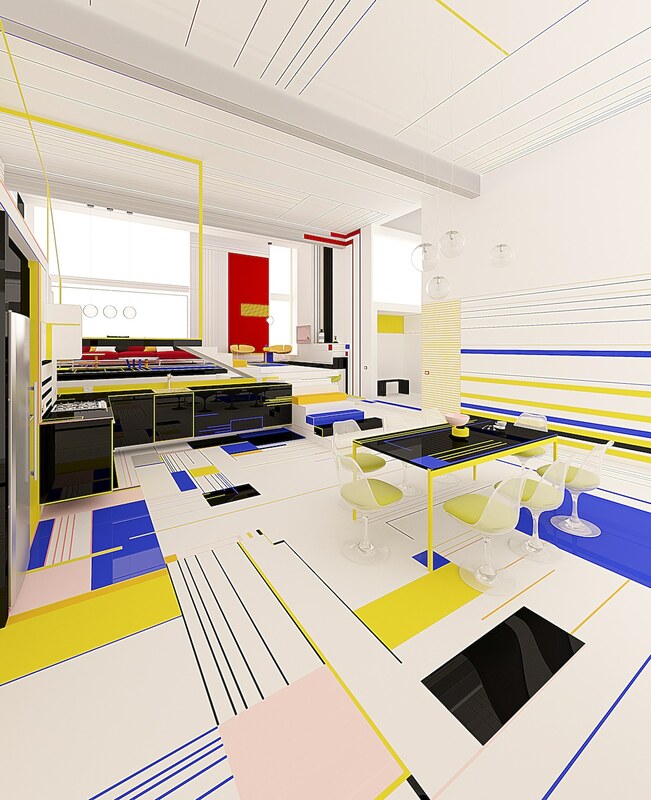 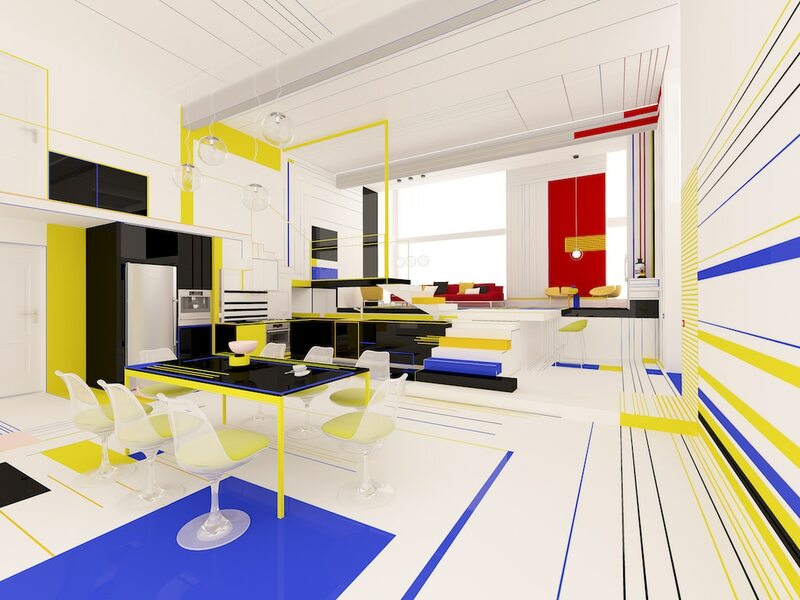 So, for now, we can only live in this avant-garde apartment in our De Stijl dreams! 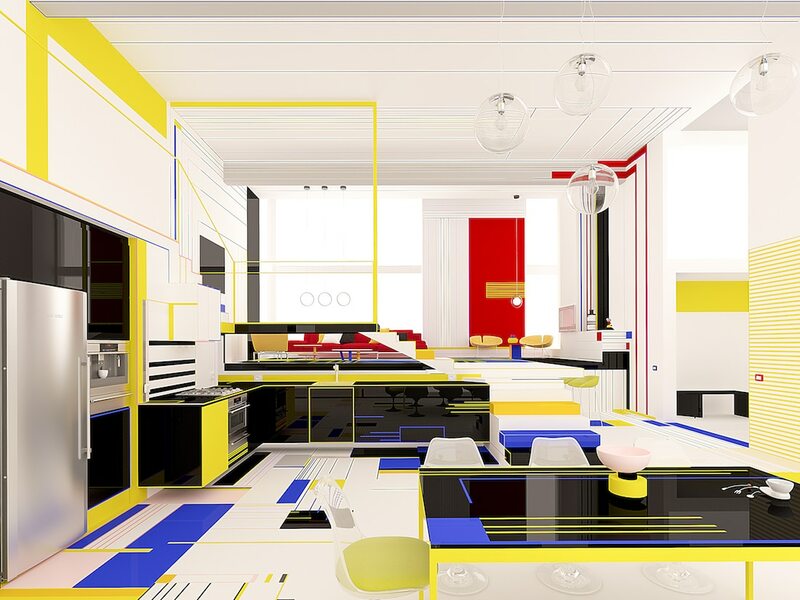 Breakfast With Mondrian, a conceptual design by Brani & Desi, imagines what it would feel like to live inside an abstract painting. 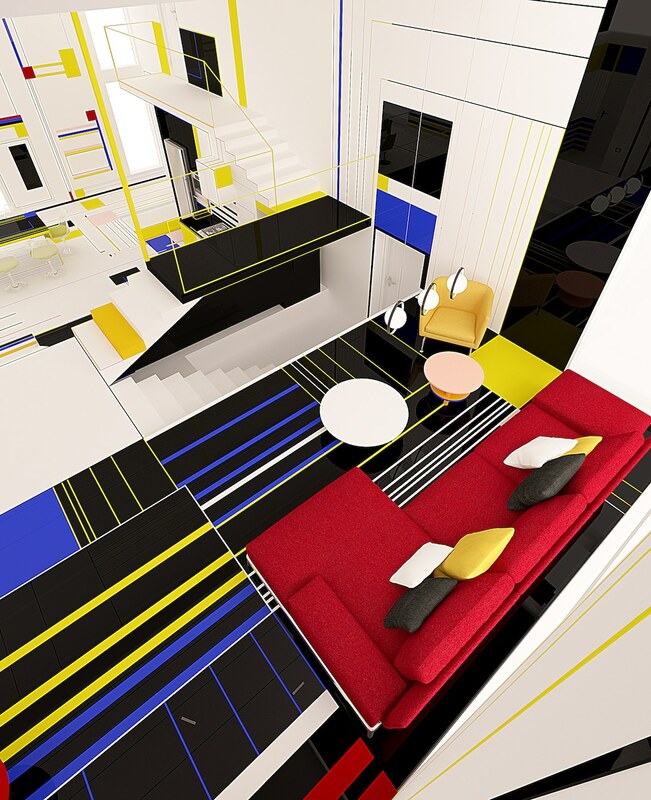 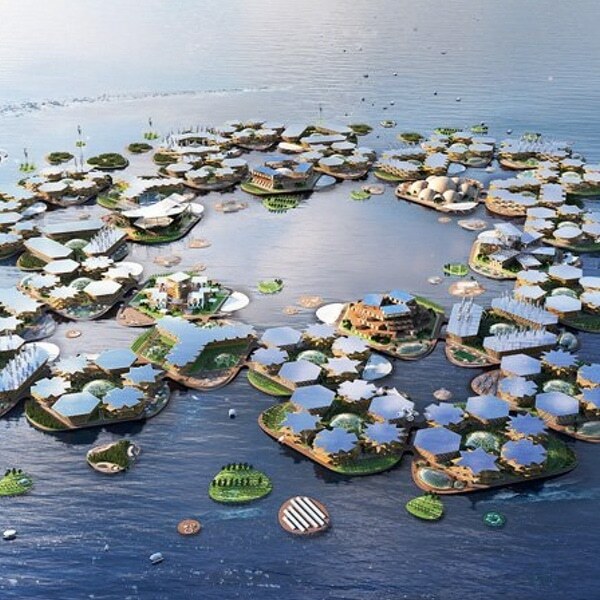 My Modern Met granted permission to use photos by Brani & Desi.